I saw this recipe on MoneySavingMom.com the other day, and tweaked a few things to make it my own. I made 24 muffins instead of 18. My babies eat small portions and I dont like to waste. I cooked them for 5 minutes less that the recipe called for. I used dried cranberries instead of frozen fruit or chocolate chips. Hoke literally could live of of cranberries! 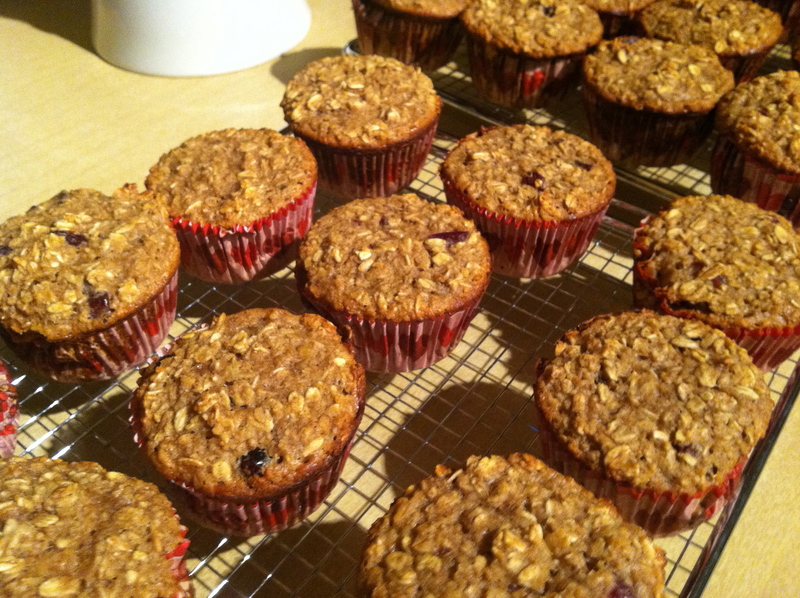 After testing one of the muffins, it really reminded me of the Cranberry Vitatops that cost $14.45 for a box of 12! Here is the recipe for Portion Sized, Freezer Friendly Baked Oatmeal (the way I made it!) To view the original recipe look here. In a large bowl, mix eggs, vanilla, and applesauce until combined. ← HURRY FREE 12 pack GREEN MOUNTAIN K cups HOT CHOCOLATE!